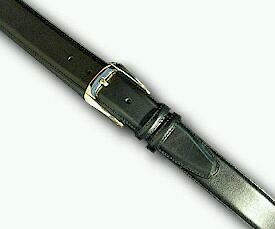 Nice quality, sturdy dress belt. Fine for jeans, and casual cotton, or dress pants with 1 1/2in. belt loop.